Work has begun at Fyrnwy Equine Clinic to install Shropshire’s first specialist MRI scanner for horses. The Baschurch-based practice, which has been at the forefront of equine veterinary medicine since it was established in 1978, is investing in a Hallmarq standing MRI machine, becoming one of only 50 sites in Europe to host such a facility. The centre is already the only practice in the West Midlands, north and central Wales to employ European specialists in both equine medicine and equine surgery. While MRI, or magnetic resonance imaging, scanners are a common feature at hospitals and large health centres, their use in equine veterinary science is relatively limited. However, MRI scanners are increasingly being looked to as a way to improve the accuracy and efficiency of diagnosing a range of conditions in horses, from lameness investigation to spinal and joint diseases. 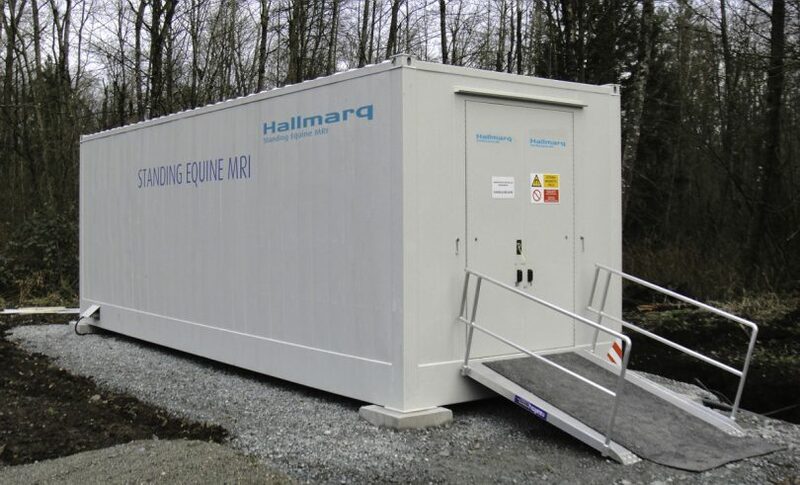 The Hallmarq MRI system, which will be installed and operational by April, will be able to scan horses without the need for them to be under general anaesthetic. Tim Froydenlund, equine surgical specialist at Fyrnwy Equine Clinic, said: “This scanner will prove to be a major step forward for equine care in the region and will provide unrivalled diagnostic capability. “For example, lameness in a horse can be a source of frustration for the owner and veterinary surgeons with definitive diagnosis often impossible using conventional imaging methods, such as X-ray or ultrasound. This is particularly true in the foot where many important structures are hidden within the hoof capsule. Response to treatment is, therefore, often used to give an idea of the horse’s prognosis. However, MRI allows diagnosis of damage to soft tissue and bone at a far superior level and has been proven to diagnose the specific cause of lameness in over 90% of cases. Veterinary surgeon, Jenny Marsh, who specialises in lameness investigations and diagnostic imaging at the clinic, added: “Hallmarq is a renowned company providing MRI scanners worldwide. The team here at Fyrnwy will operate the MRI scanner with the support of Hallmarq, while the image interpretation will be undertaken by European specialists in equine surgery or diagnostic imaging.